Prunus emarginata (Douglas ex Hook.) D.Dietr. Names: As the common name suggests, the fruits of Bitter Cherry are very bitter. The fruit is inedible to people. Emarginate means notched at the margins, usually at the tip of a leaf or petal. I am not sure what this refers to in this species, perhaps just that the leaves are toothed or rounded at the tip. Relationships: The genus, Prunus, contains cherries, plums, peaches, apricots, and almonds. There are about 30 species native to North America, but many, many species and cultivated varieties have been introduced. Most cultivated cherries and plums are from Europe; many ornamental varieties are from China and Japan. 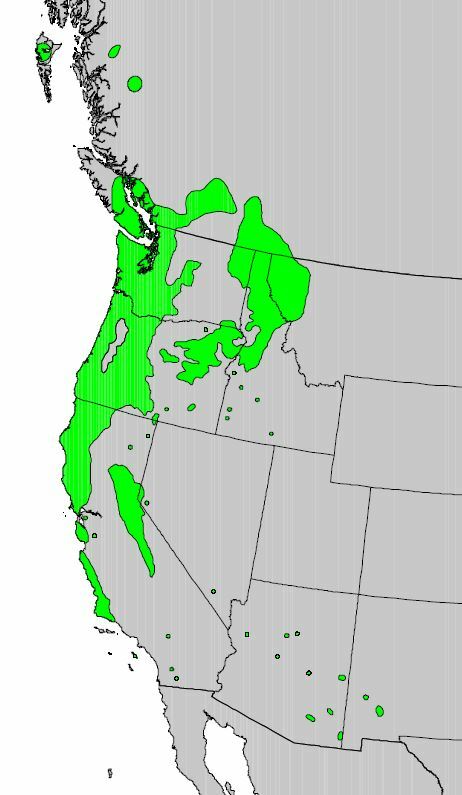 Distribution of Bitter Cherry from USGS ( “Atlas of United States Trees” by Elbert L. Little, Jr.
Distribution: Bitter Cherry is found from southern British Columbia to southern California along the coast through the Cascades and Sierra Nevadas; east to the Rocky Mountains of Idaho and Montana, and in isolated communities in Wyoming, Utah, Arizona and New Mexico. Young Bitter Cherry with attractive bark. Growth: Bitter Cherry grows quickly to 6 to 45 feet (2-15m) tall. It is not long-lived, perhaps only living about 30-40 years. 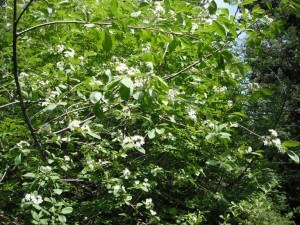 Habitat: Bitter Cherry trees may be found in moist, second growth forests, often along streams. Wetland designation: FACU, Facultative upland, usually occurs in non-wetland but is occasionally found in wetlands. 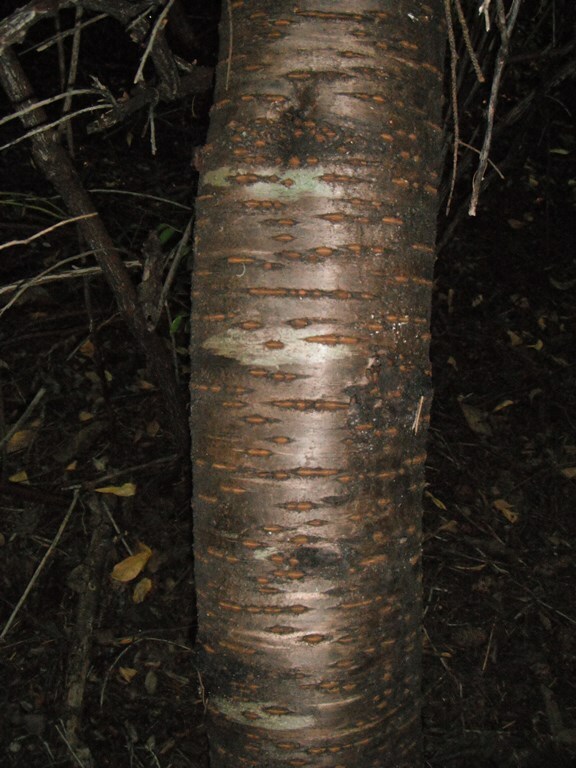 Diagnostic Characters: In older trees, Bitter Cherry is most easily identified by its reddish brown, or gray bark with horizontal lenticels (raised pores that allow for gas exchange through the bark). The leaves are small, (3-8cm), finely toothed and rounded at the tip. The flowers are white or pinkish in a flat-topped cluster. Bitter Cherry fruits are bright red, about 1 cm in diameter. 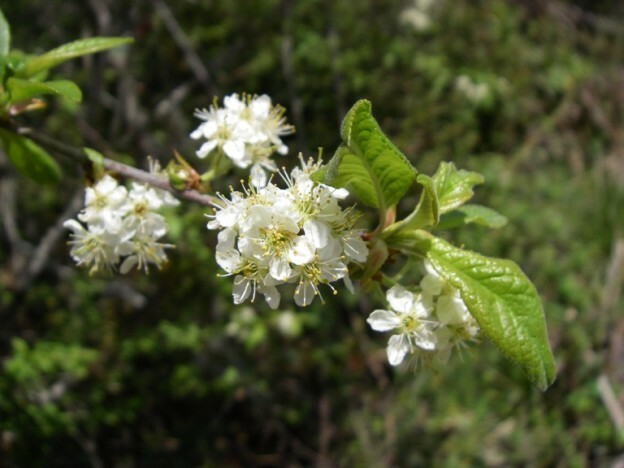 Chokecherry, P. virginiana, a species that is common on the east side of the Cascades, has long, narrow flower clusters and darker, purple to black cherries. In the Landscape: With its attractive bark, flowers and fruit, Bitter Cherry is a pleasing addition to a woodland garden. Phenology: Bloom Period: April-June. Cherries ripen July to September, dispersal occurs August through September. Bright Red Fruit of Bitter Cherry. 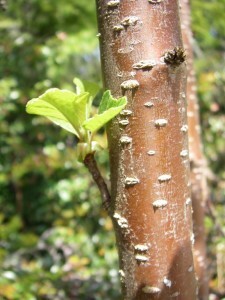 Propagation: Bitter Cherry is usually propagated using fresh seed. A cool, moist stratification at 40ºF (4ºC) for 3 months is necessary to break the embryo’s dormancy. Seeds may take18 months to germinate; in fact, Bitter Cherry seeds may remain viable in the soil for many years. Bitter Cherry may also be propagated by softwood taken in spring or early summer, or heel cuttings of semi-hardwood in late summer. 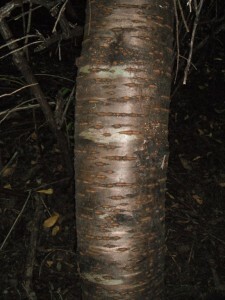 Bark has horizontal lenticels, typical of many cherries. 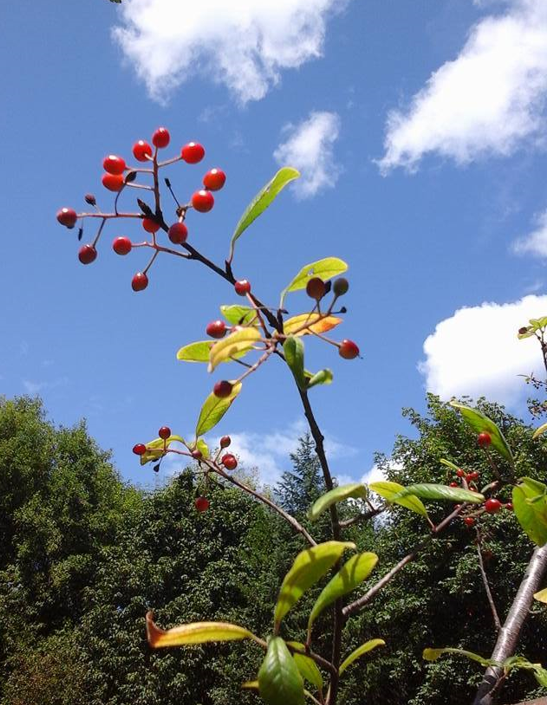 Use by People: Natives used cherry bark as decoration in their basket designs. It was also used for wrapping the joints of many implements, such as spears, arrows and fire drills. 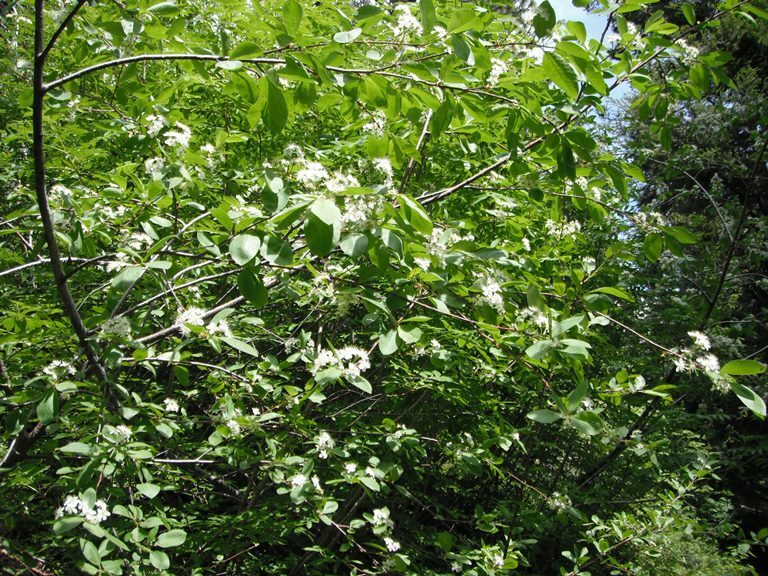 Use by Wildlife: Bitter Cherry is browsed by deer, elk and black bear. Birds, small mammals and slugs eat the cherries. 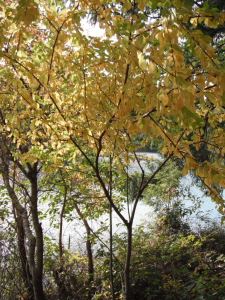 Two other Prunus species are found in some parts of our region. Chokecherry, P. virginiana, although more common on the east side of the Cascades, is found in some parts of the west side, more often in drier, prairie habitats. It has elongated flower clusters and dark purple to black fruits. 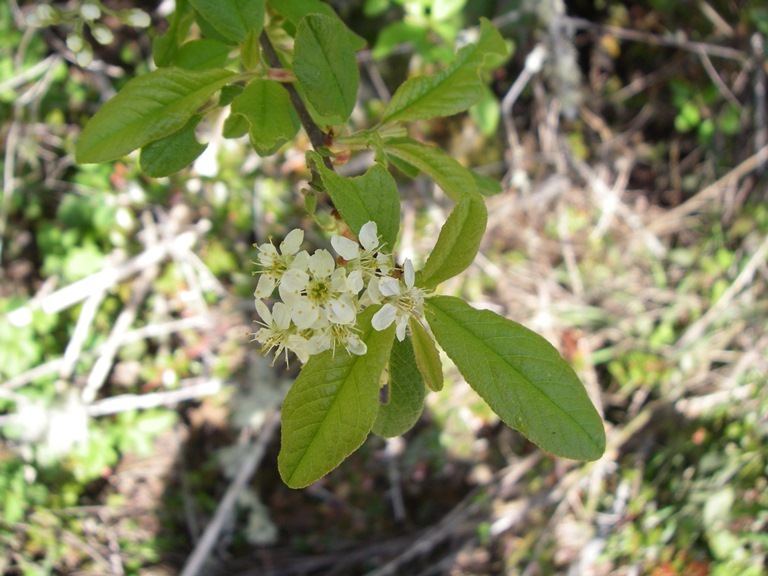 Klamath Plum, P. subcordata, is rare in the Willamette Valley, more common in southern Oregon and the Sierras of California. The popular evergreen hedge, English Laurel, Prunus laurocerasus, is also in this genus. It has been overplanted in much of the northwest. Many people do not realize that it is really a tree that can grow to 45 feet (15m) or more. It often quickly outgrows its intended location such that even with multiple shearings, it can become too large to handle. Even more troubling is that birds will carry its seeds to pristine forests, where it will germinate and invade native habitats. 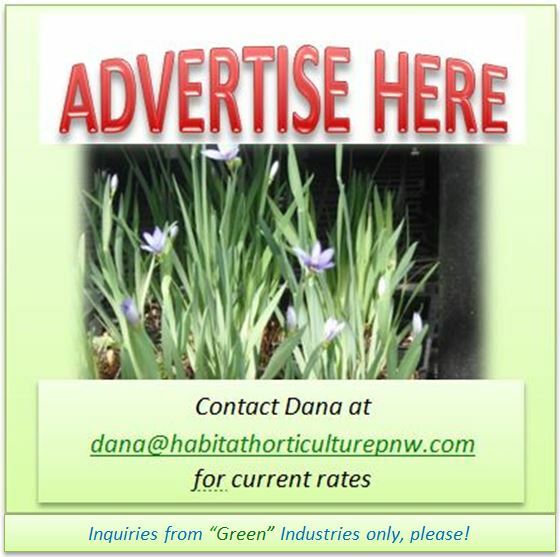 Better choices for evergreen hedges include: Pacific Wax Myrtle, Myrica californica or California Bay Laurel, Umbellularia californica. 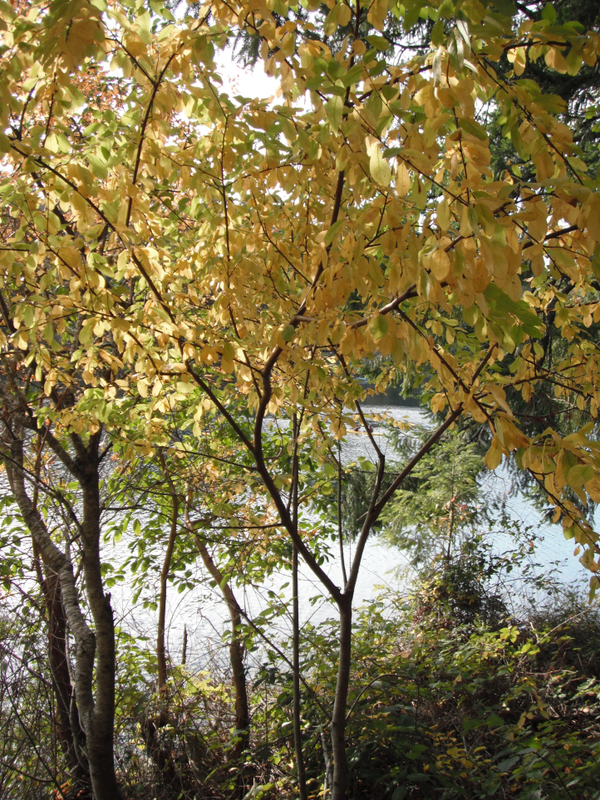 This entry was posted in Broadleaved Trees on March 4, 2015 by habitatdana.